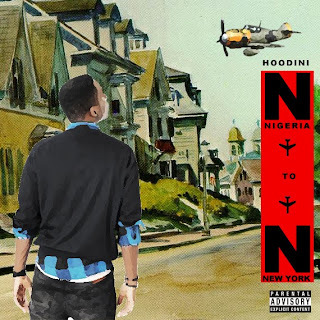 Chuma Nwokike (born 24 March 1993), aka Hoodini, is a Nigerian hip-hop recording artist and record producer. He was born in the Connecticut, USA but is of Nigerian origin. He spent his early years in the city of Abuja, Nigeria. At the age of 13, drawing inspiration from Kanye West, he grew a fondness for music and other forms of creative art, such as fine art, where he won various accolades as a young artist in drawing and painting. In 2010, Hoodini released his first mix tape as a recording artist titled Vaudeville. The mix tape immediately grabbed the attention of fans boosting productions from worldwide producers such as UK based SlickMo, US based producer, G-LO, and Nigeria’s very own VC Perez. During the course of that year, he also teamed up with US-Based Nigerian producing Duo- Mictunes (who are responsible for such hits as No shaking & can’t do without you by Tuface) and is now hard at work in putting together his debut album. His musical influences are artists like Kanye West, Jay-z, Jadakiss and Nas.